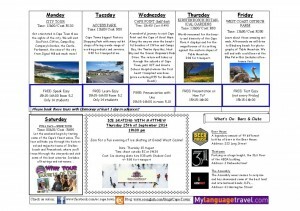 Our English language school in South Africa organizes new activities every week. 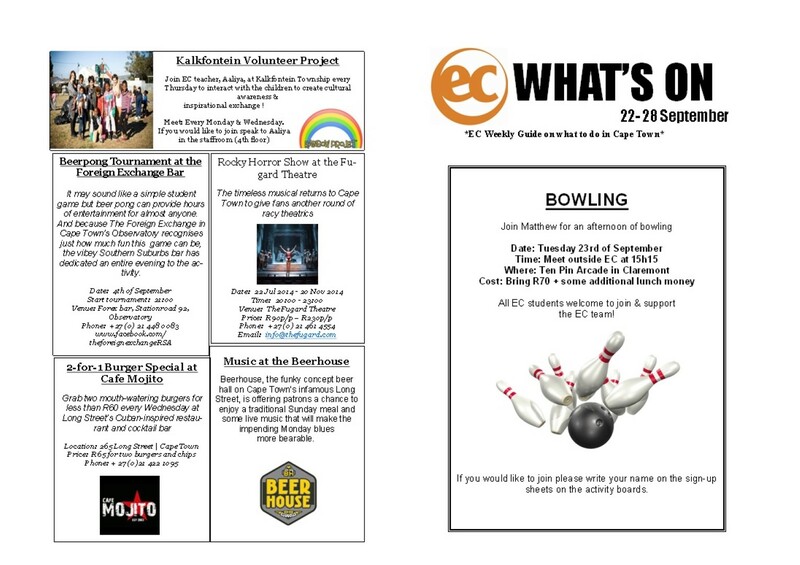 In our weekly updated What’s on guide we will inform you about everything that’s going to happen during the week. 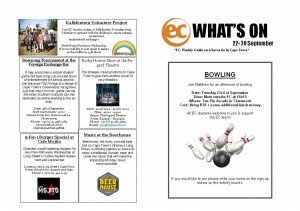 Feel free to have a look on the most recent What’s on guide.